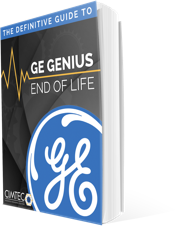 After more than 30 years GE announced that it’s no longer supporting GE Genius I/O Blocks & Genius Bus Controllers. This may sound like a large challenge to overcome but instead it may make it the perfect time to migrate to newer technology. Whether you chose to continue to support your legacy system & Genius Blocks, or you'd like to use this time to migrate & upgrade your system, CIMTEC can help! Download the eBook today and find out what the right choice is for you & discover how both options are viable with the help of CIMTEC Automation! Fill out the form and get your copy today!